Take Your Tea Wherever You Go To Ensure Your Full Enjoyment. Now you can indulge in the delicious taste of :eggnog: often - without guilt! 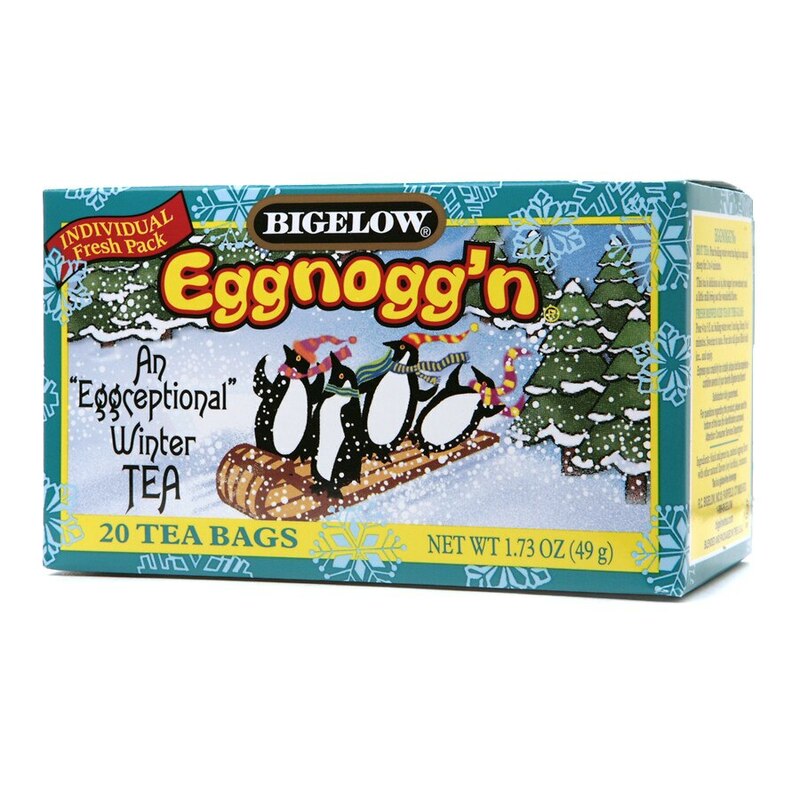 Bigelow's all natural Eggnog'n tea is a smooth and delicious blend of black and green teas with the creamy flavor of eggnog. Only Bigelow could pack all this great taste into one tea bag. It is the perfect tea to drink when you want to warm up during a winter's day and have some special "me" time. When you need a little winter pick me up, brew up a cup of Bigelow Eggnog'n tea, a terrific way to make sure you really do enjoy the season. Blended and packaged in the USA. Hot tea: Pour boiling water over tea bag in a cup and steep for 2 to 4 minutes. This tea is delicious as is, but sugar (or sweetener) and a little milk bring out the wonderful flavor. Iced tea: Pour 4 to 5 fl. oz. boiling water over 1 tea bag. Steep 3 to 5 minutes. Sweeten to taste. Pour into tall glass filled with ice... and enjoy.